Our 14 rooms and suites are wonderfully comfortable with a sleek decor. Barely some steps away from Lakshman Jhula, Swarg Ashram and Maharishi Yogi Ashram, Kunwar Residency built on the banks of the might Ganges. It has also a spa and massage centre for the guests to relax. 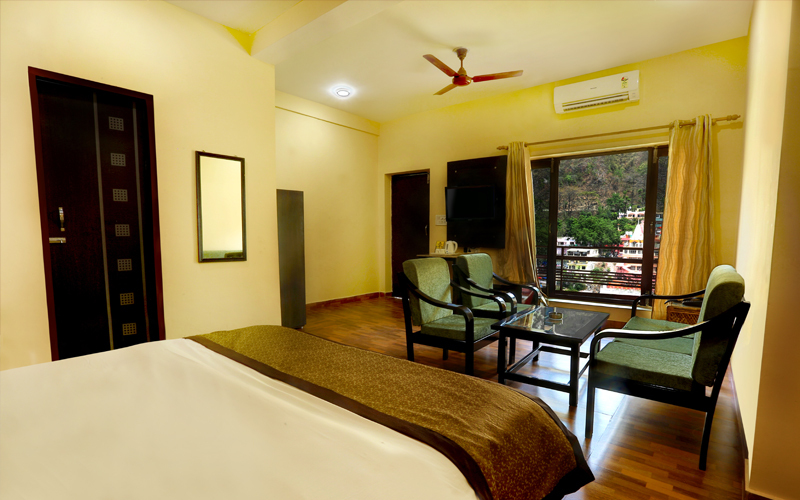 Kunwar Residency is 5 km from Rishikesh Bus Station and barely few steps from Lakshman Jhula Bridge It is 20 km from Jolly Grant Airport and 29 km from Dehradun Railway Station. 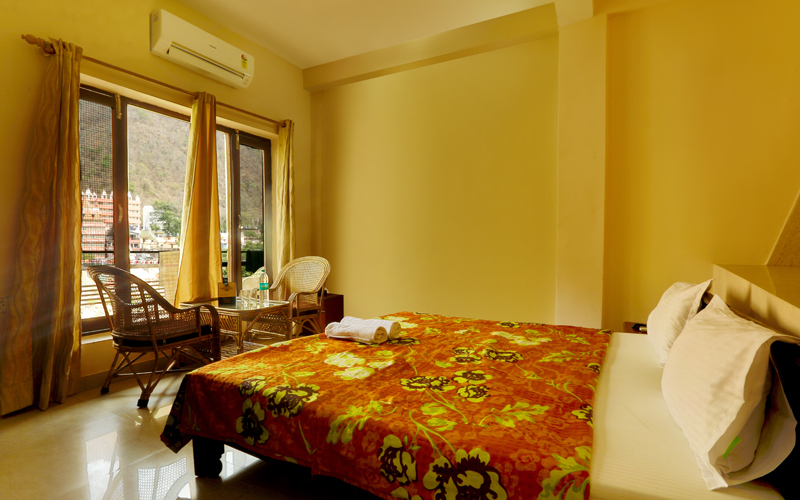 Each air-conditioned room features Landline heater and flat-screen cable TV. Private bathroom includes shower. With a 24-hour front desk, the property provides services like currency exchange, dry cleaning and laundry. Guests interested in exploring the area can use the tour desk. A massage centre is available for guests to pamper themselves. The in-house restaurant serves Indian dishes. Room service is available only for limited hours. At Kunwar Residency your experience is important to us, that's why we've made sure that our rooms are more comfortable than ever before. Extra Bed with 1 Mattress - 700 Rs. The Standerd Rooms are the interesting room options offered to the guests. With expansive ..
A restaurant overlooking Luxman Jhula Bridge and the Ganga View. All meals are prepared fresh in our kitchen and served in the rooms or in the breakfast room. The cuisine is essentially North Indian with a few Continental and Chinese dishes. We are confident that you will find the food tasty and the service efficient and courtious. We invite you to step on board and enjoy an awesome ride with us, as we take you on a trip across the majestic mountains. We offer you an array of adventures from white water rafting less-known but more-interesting trekking paths, and a whole lot more. 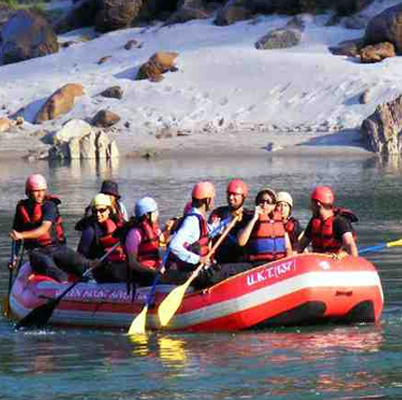 Rafting or whitewater rafting is a challenging recreational activity using a raft to navigate a river or other bodies of water. Camping is a recreational activity that does not have any age limit. Any individual who likes to explore new places and enjoy. 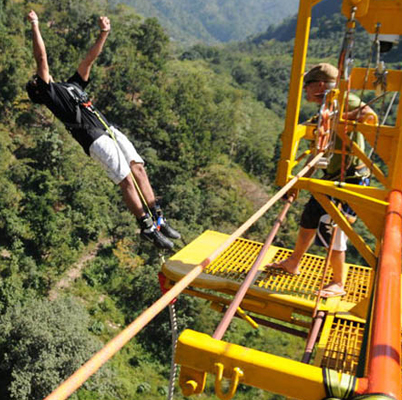 We offer first fixed platform Bungy in Rishikesh, India. A Cantilever platform built over a rocky cliff overlooking a rocky river Huel. Cliff jumping is jumping off a cliff as a form of sport. When done without equipment, it may be also known as tombstoning. Let your stress stretched out through yoga! 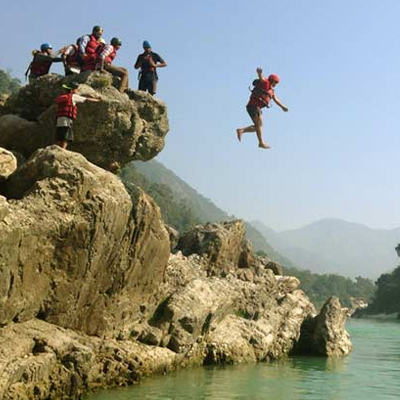 Rishikesh is a holy place where people believe in maintaining healthy spirit. Several religious activities are carried out every day in Rishikesh to promote the religious feeling, which may ensure the clean spirit. 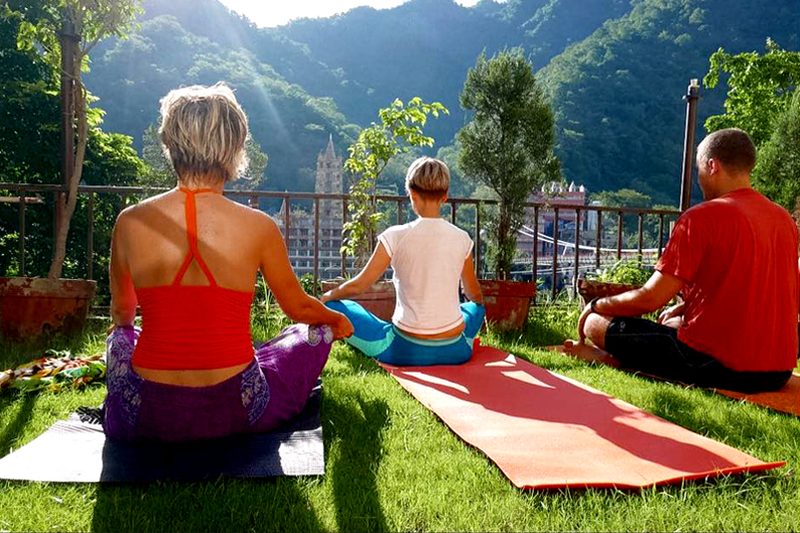 In the similar way, yoga also holds importance in maintaining the healthy physique of the people of Rishikesh.
" Wonderful place! All services were very good. Surya, the manager, is the best. 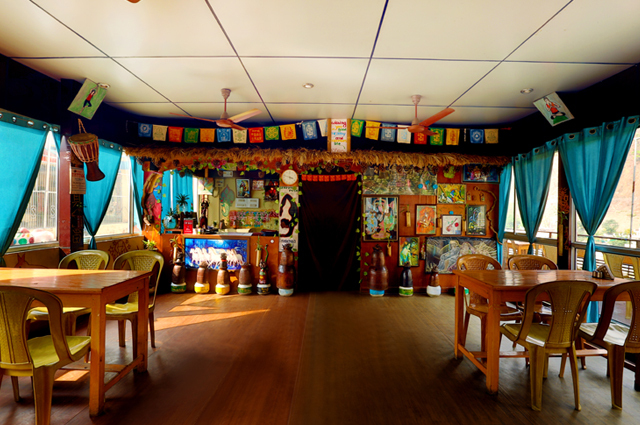 The Goa Café is connected with Kunwar and made all the difference. Wonderful time. I hope to go back. " " Friendly, helpful and well informed staff Kind to allow us very early check in Great view and location Great food at Cafe de Goa upstairs "
" Location: Overlooking Ganges Just next to Luxman Jhoola Bridge ,From your room You can also see Evening Ganga Aarti being performed on the opposite Bank of the river. " 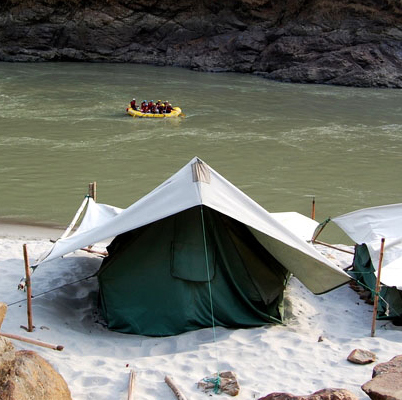 " Awesome location with the river Ganges view. Friendly staff. Room was very clean. Good room service. The front desk guy is so good and helpful. " " Rooms facing the Ganga River and the bridge... amazing location! 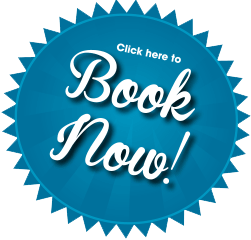 Staff is simply great, very friendly and very helpful. It is very clean, specially when comparing other similar places! The restuarant, Cafe de GOa has great food, specially the indian dishes! Everything is washed with bottled water so westeners are safe of getting "funny belly" when eating here. BreakfSt on the terrace is a great gift! "